Nielsen (NYSE: NLSN) announced the official roll-out of its U.S. e-commerce measurement solution, delivering a comprehensive total consumer view of 90% of fast-moving consumer goods (FMCG) online sales within the U.S. market. Nielsen’s U.S. e-commerce solution is a multi-sourced tool that brings together robust data from a variety of resources to gain an accurate read of the digital marketplace. This multi-sourced approach includes online purchase data (ePOS) and consumer-sourced data sets including e-receipts, Nielsen’s Homescan and other Nielsen proprietary consumer data. A diverse set of e-receipt partners provides a demographically balanced panel and provides stability against market shifts and development within the evolving digital marketplace. Marking an important milestone in its mission to provide a total consumer measurement view, Nielsen’s solution links item descriptions to known UPC codes where available, enabling comparisons of online and offline performance. Nielsen’s e-commerce solution currently captures sales data for the top FMCG product categories sold across online including pure play, brick and click, direct to consumer, marketplaces and more. Within the industry, this is the only solution that attempts to align to client category definitions, helping clients compare their e-commerce and in-store performance. In totality, this solution allows users to more easily benchmark and identify growth opportunities, assess, evaluate and gain insights into how to improve online performance. With this launch, Nielsen also released its first set of e-commerce data for public distribution, revealing a total consumer view of the market through online and in-store performance of select FMCG categories. Despite an overall slowdown of in-store sales in the U.S. FMCG market, Nielsen’s view into e-commerce tells a more positive tale, showcasing growth within specific product categories. Compared to the relatively flat growth in the traditional brick and mortar grocery category, in 2016, e-commerce actually drove 1% of topline growth for grocery. Across developed categories such as beauty and personal care (where beauty saw only slight in-store growth of 0.6% and personal care saw 1.3% in-store growth from 2015-2016), online retail drove more than 10% of 2016 sales. The rapid expansion of e-commerce in top FMCG categories also fostered significant growth in categories such as pet care. In fact, e-commerce drove 16% of pet care sales in 2016, attributing more than 80% of pet care category growth from online channels. Grocery consumers are migrating online and according to the 2017 Nielsen FMI Digitally Engaged Food Shopper Report, by 2025, the share of online grocery spending could reach $100 billion in annual consumer sales. The bottom line: e-commerce has become ‘the’ crucial channel to watch and is primed to change the negative growth story for the FMCG market, which makes e-commerce performance metrics no longer a “nice to have,” but an essential part of the success equation for everyone in the retail industry. 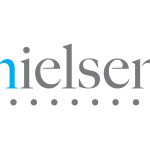 Nielsen Holdings plc (NYSE: NLSN) is a global performance management company that provides a comprehensive understanding of what consumers watch and buy. 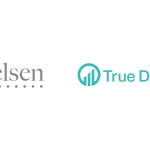 Nielsen’s Watch segment provides media and advertising clients with Total Audience measurement services for all devices on which content — video, audio and text — is consumed. The Buy segment offers consumer packaged goods manufacturers and retailers the industry’s only global view of retail performance measurement. By integrating information from its Watch and Buy segments and other data sources, Nielsen also provides its clients with analytics that help improve performance. Nielsen, an S&P 500 company, has operations in over 100 countries, covering more than 90% of the world’s population. For more information, visit www.nielsen.com.